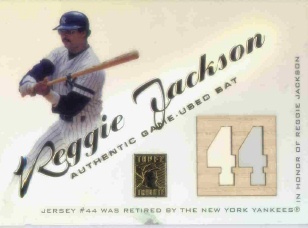 This 31-card set features bat relic cards of classic players like George Brett and Hank Aaron. Please note that these cards were broken into two groups: Group 1 were inserted at a rate of 1:2, while, Group 2 were inserted at 1:35. Card backs carry a "RB" prefix.